Golden State Warriors’ center DeMarcus Cousins missed Monday night’s game with an ankle injury, and Anthony Slater is reporting the enigmatic All-Star will miss Tuesday’s game vs. Minnesota as well. 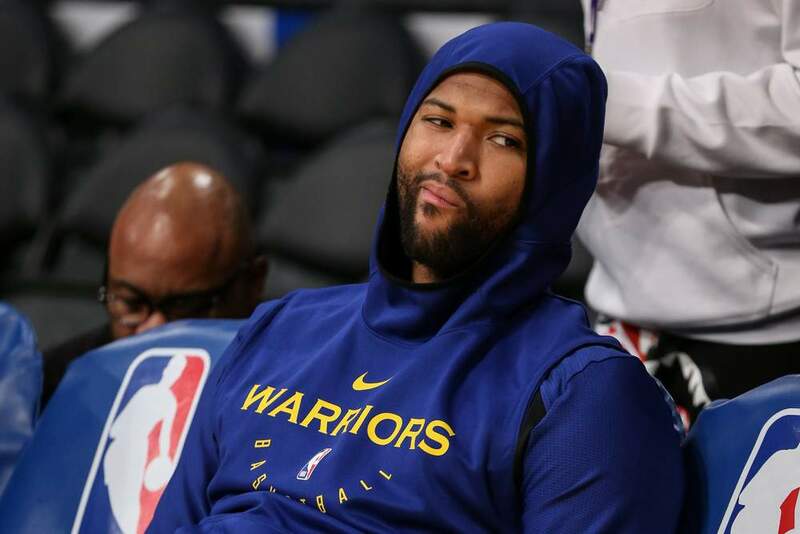 DeMarcus Cousins was initially ruled out of Monday’s game against the Spurs, and though the results of Cousins’ MRI came back clean, Steve Kerr didn’t waste any time announcing he’d also miss the second half of the Warriors back-to-back Tuesday night. This situation puts fantasy basketball owners in a terrible bind; Cousins, after all, missed the first 45 games of the season rehabbing a ruptured Achilles tendon he suffered last year while with the New Orleans Pelicans. The Warriors big man has flourished during his time back on the court, and even more so of late, averaging 18.1 points, 8.3 rebounds, 3.8 assists, 1.4 steals, and 1.9 blocks over his last eight games. Losing him to begin this week of the fantasy playoffs is killer. The Warriors play three more games this week — on Thursday, Saturday, and Sunday — so hopefully this is just a precautionary measure and he’ll be able to suit up for those contests. Fantasy owners who need fill-ins at center should be looking at Jakob Poeltl (44% owned on Fantrax), Ivica Zubac (43% owned), and Joakim Noah (38% owned). Kevin Looney (26% owned) represents the best in-house replacement in Oakland, though the triumphant return of Andrew Bogut from Australia could make things iffy for Looney. The Minnesota Timberwolves have been no strangers to injuries this season and it might finally be time for fantasy owners to pull the plug on some of the Wolves’ star players. Robert Covington possesses a mouth-watering arsenal simply made for fantasy basketball, but it’s time to cut the Wolves’ forward in your fantasy league. Covington last played on New Year’s Eve, and has been sidelined since with a bone bruise in his right knee. He’s yet to even practice, and with just 12 games left on their schedule, there’s a pretty good chance we don’t see him take the court again for the lottery-bound T-Wolves. He’s just dead weight on your fantasy roster at this point. Jeff Teague is also another player most owners should be dropping. Teague has dealt with foot injuries all year long and his most recent setback looks like it could be a season ender. The 10-year vet has missed 28 games in 2018-19 and doesn’t look like a player who can help fantasy teams in the playoffs, and that’s if he comes back at all. The Wolves should use this time to evaluate Tyus Jones, who is set to become a restricted free agent this summer. And last but not least, is Derrick Rose. Rose is a permanent fixture in any “injury article” and this time it’s due to a sore elbow. The former MVP has actually played very well this season, but he’s sat out 19 games and will be tough to rely on in the fantasy playoffs. The quandary here is his injury doesn’t look too serious, and he’d really benefit from Teague’s absence if he could just get back on the court. It’s a decision fantasy owners will have to make, and hopefully, we’ll have more info before the Wolves host the Warriors Tuesday night. Seth Klein joined the FantraxHQ team in September 2018. Seth brings an extensive resume to the table, having previously written at Razzball, The Fantasy Fix, and FantasyDraft. 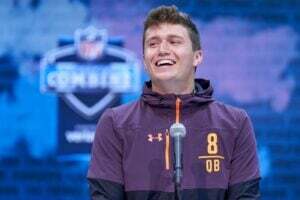 He has also served as the editor in chief at FantasyCPR and Fake Pigskin, and can be seen and heard on many podcasts and fantasy sports radio shows. Seth was born and bred in Los Angeles, but is a lifelong New York sports fan. He currently resides in the San Fernando Valley with his wife and two young children.